Green Markets can integrate its pricing data with any customer database. 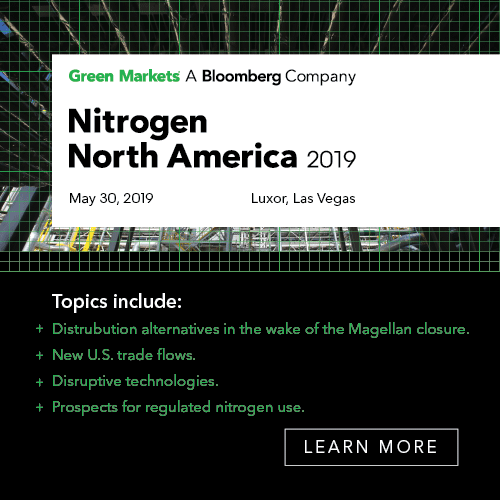 Choose from any combination of over 300 covered fertilizer commodities and regions, and Green Markets will develop an automated data feed to meet your specific needs. Used by traders, producers, and investors, the Green Markets Custom Fertilizer Pricing Data Feeds is an efficient, secure, and economical tool to automatically insert critical pricing intelligence into your contracting system, market models, or any other business-critical application that can benefit from direct access to current pricing data. Custom Fertilizer Pricing Data Feeds are delivered in CSV format, unless otherwise requested, via a SFTP service.